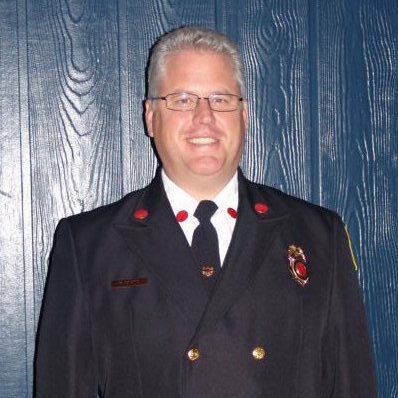 Ron is on duty at the station on Wednesday nights, on call from 6:00 p.m. until about 2:00 a.m. He also pulls some weekends and fills in where needed, especially when the calls involve horse rescues. Horses are near and dear to his heart. The Fire Lieutenant is in charge in the Chief’s absence. He serves as the EMS driver in the event of an EMS call, or rides in the fire engine in the officer’s seat, in the event of a fire call. Having moved to Culpeper in 2001, Ron and his wife have a 17-acre horse farm near Emerald Hill Elementary School, just a few miles down the road from the station. They breed and sell Dutch Warmbloods and Hanoverian horse breeds, competitive and recreational horses that are known for the major international equestrian disciplines of dressage, jumping, 3-day event, and driving. Ron admits that “Amy is the horse person and I am just the manual labor.” At one point they had 24 horses; now they are down to just 11. They are all older now. Ron and Amy met at their “real jobs” at the Navy Federal Credit Union headquarters in Vienna. Ron, a Business Systems Analyst, has been working there for 27 years. They enjoy commuting together three days a week, while Amy has the luxury of working from home the other two days. Ron’s three grown children, who have all volunteered at Little Fork in the past, are now on their own. His oldest daughter, Jordan, lives and works in the Norfolk area. Son, Aaron, is a student at Northern Virginia Community College, and his youngest, Justin, recently joined the U.S. Marine Corps.